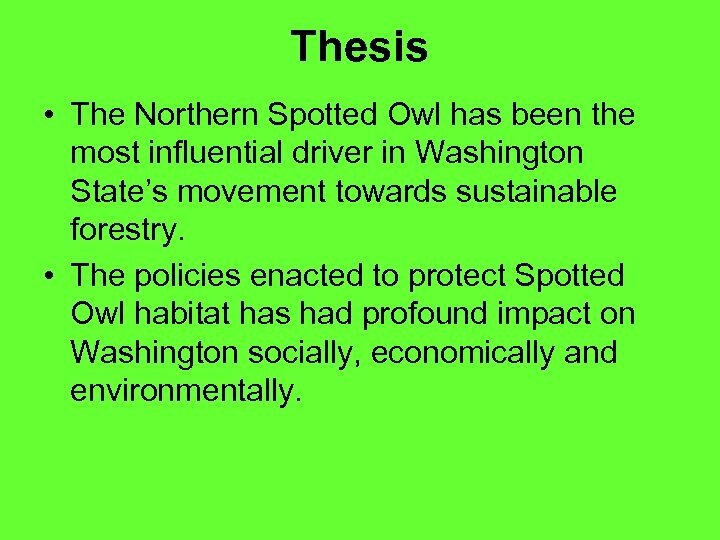 Thesis • The Northern Spotted Owl has been the most influential driver in Washington State’s movement towards sustainable forestry. 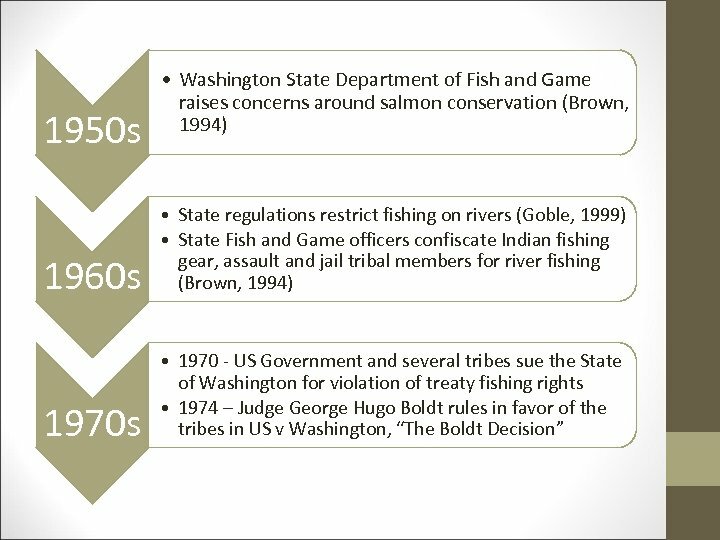 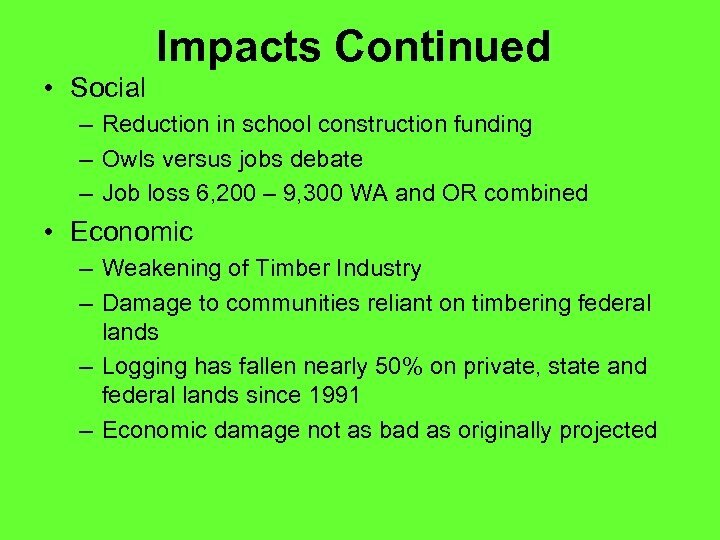 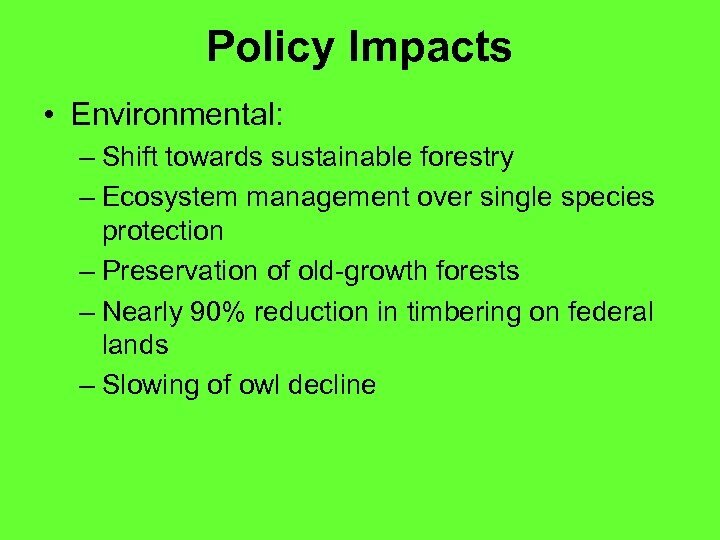 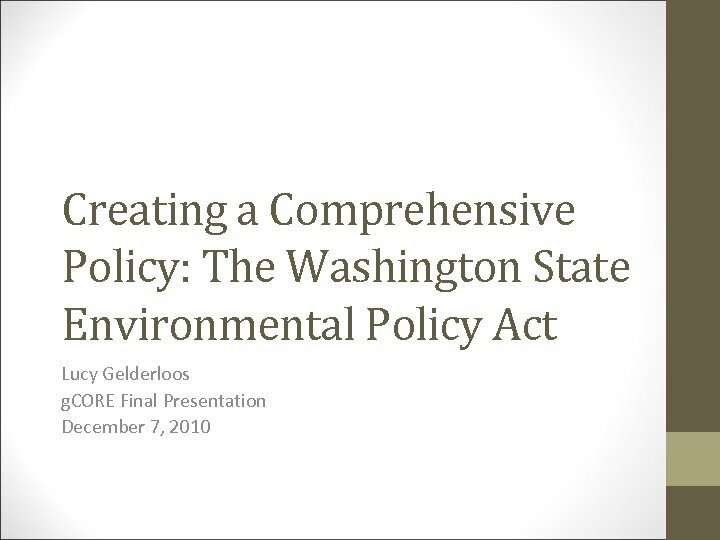 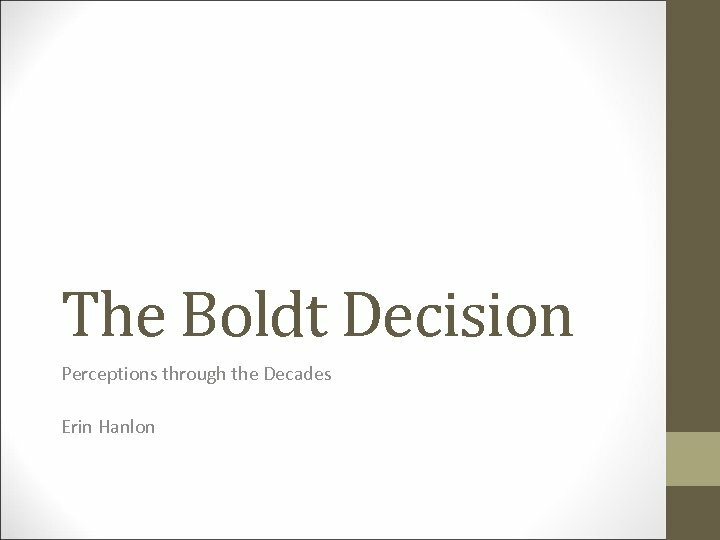 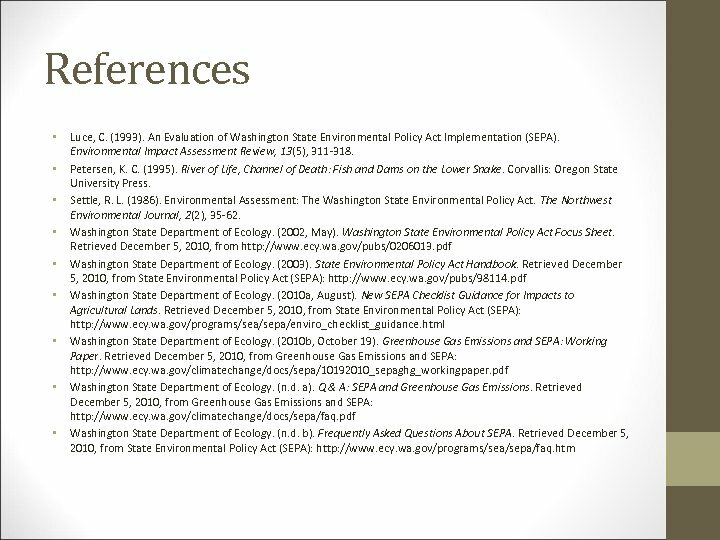 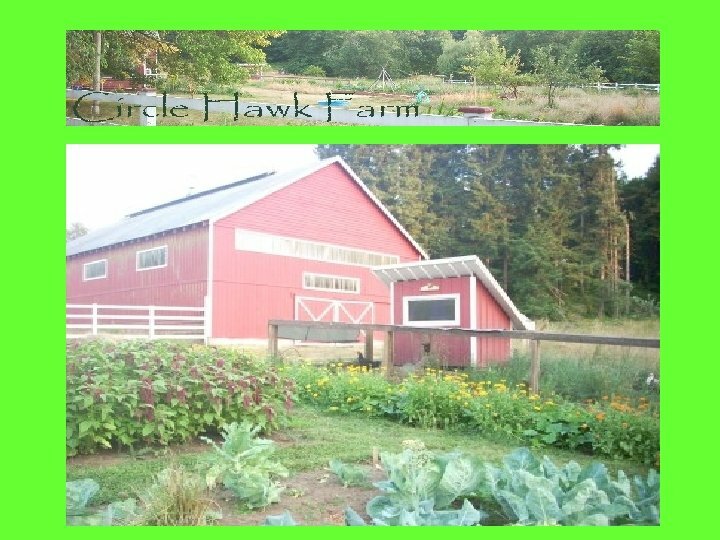 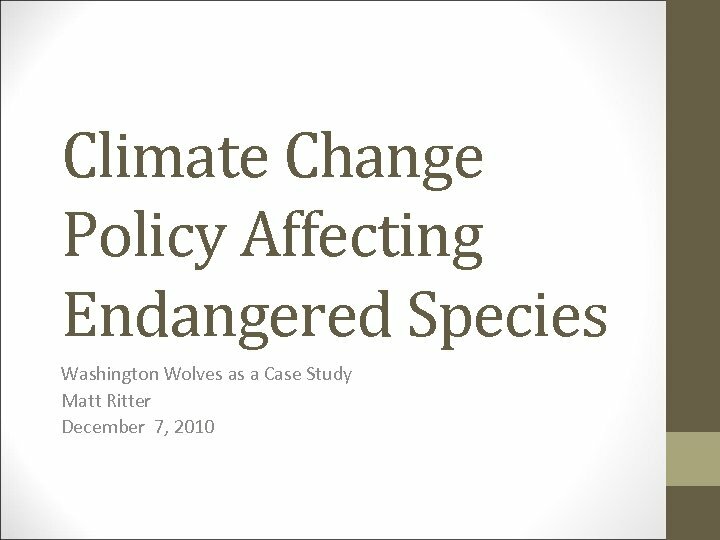 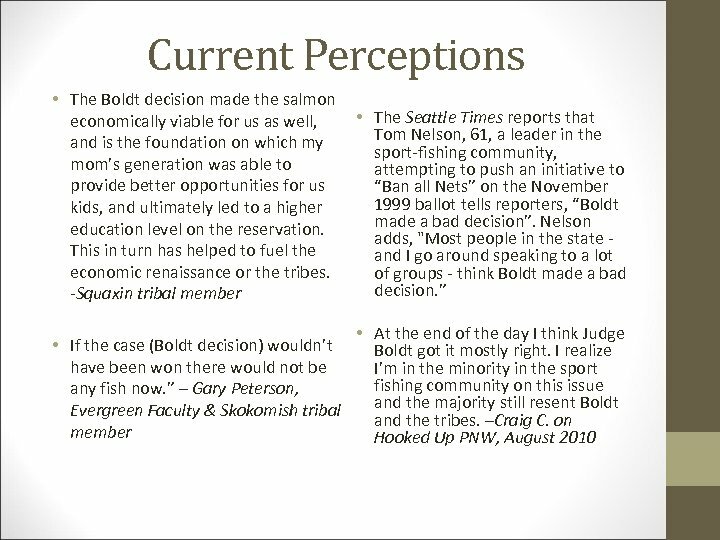 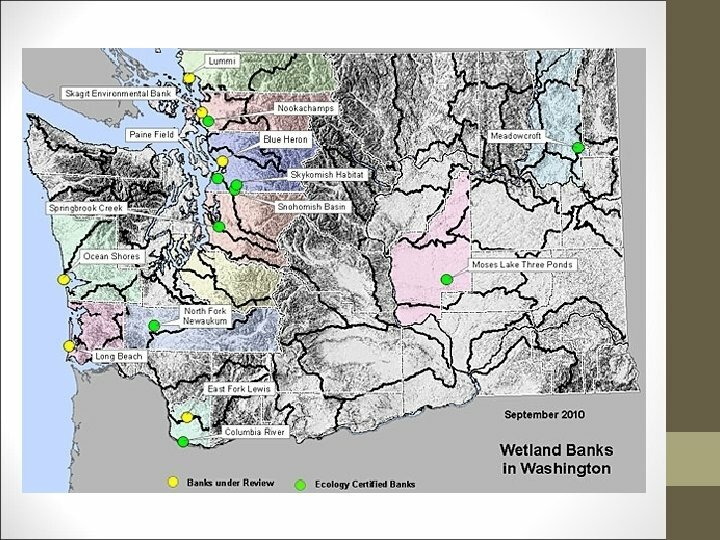 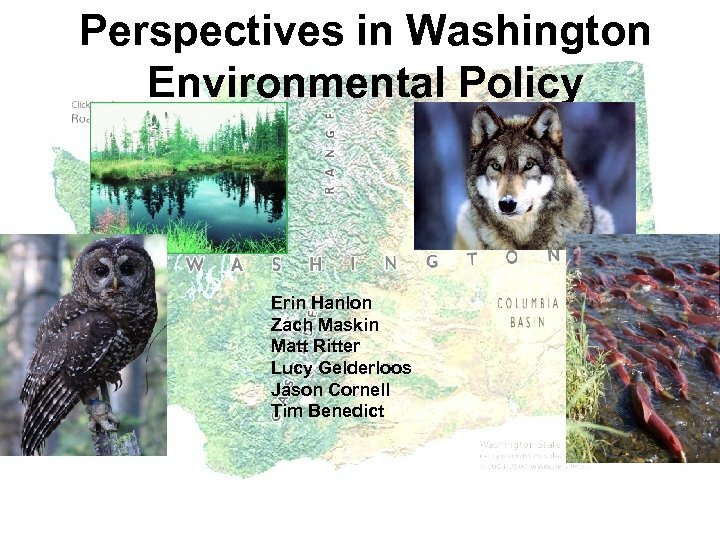 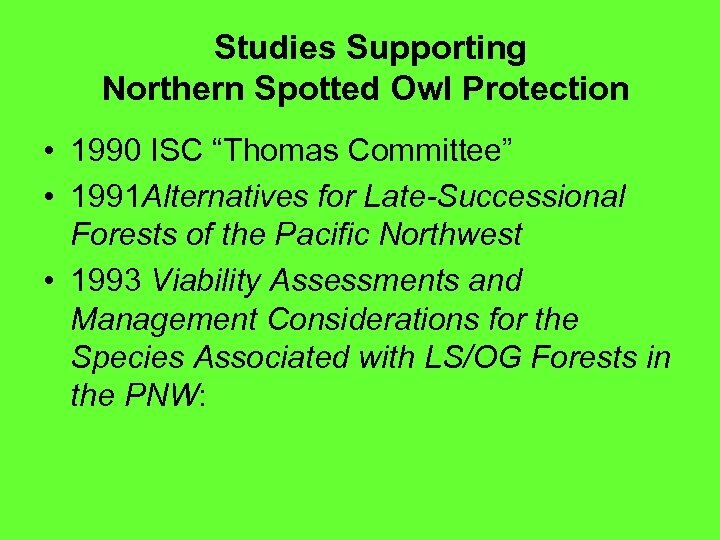 • The policies enacted to protect Spotted Owl habitat has had profound impact on Washington socially, economically and environmentally. 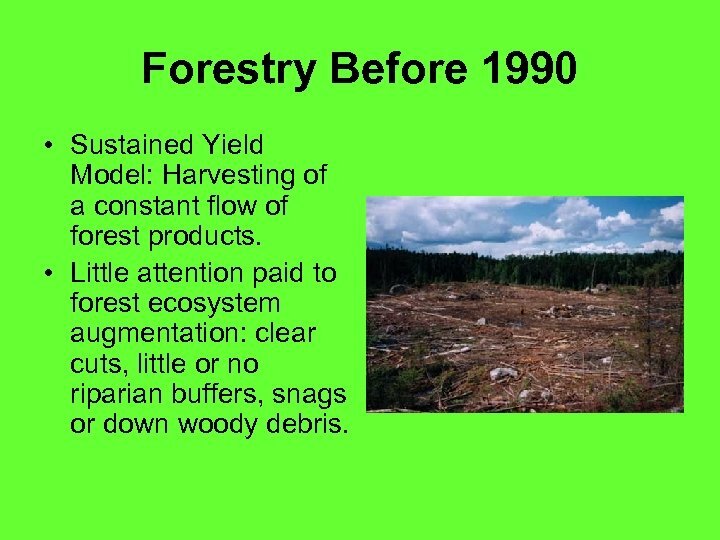 Forestry Before 1990 • Sustained Yield Model: Harvesting of a constant flow of forest products. 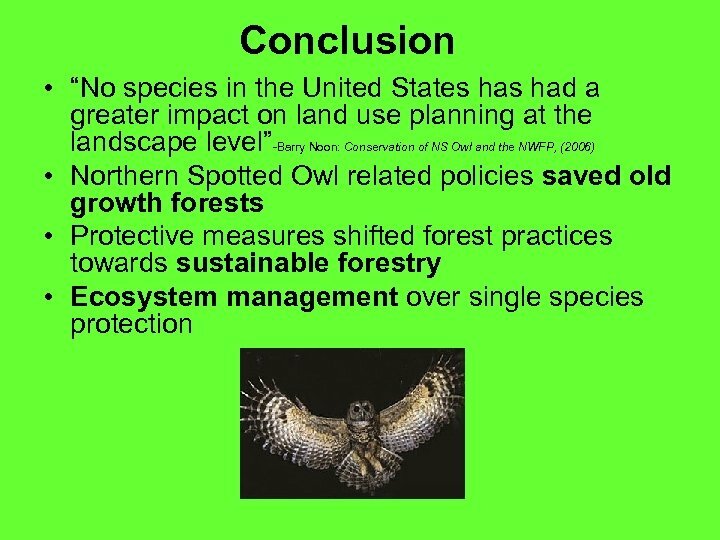 • Little attention paid to forest ecosystem augmentation: clear cuts, little or no riparian buffers, snags or down woody debris. 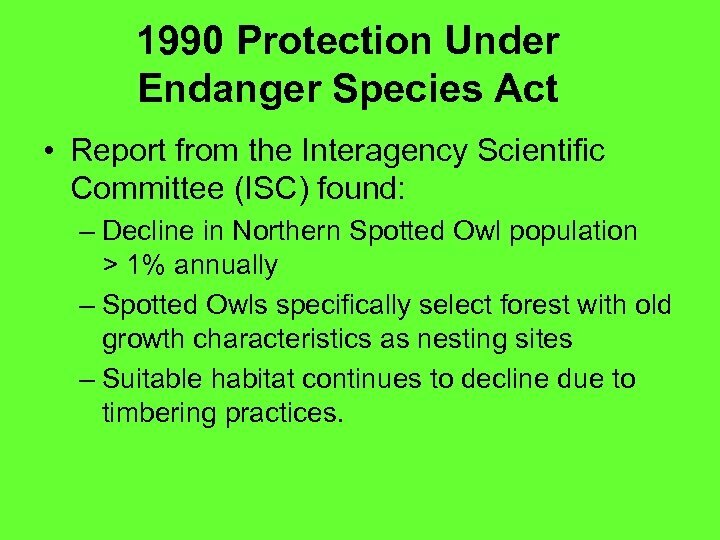 1990 Protection Under Endanger Species Act • Report from the Interagency Scientific Committee (ISC) found: – Decline in Northern Spotted Owl population > 1% annually – Spotted Owls specifically select forest with old growth characteristics as nesting sites – Suitable habitat continues to decline due to timbering practices. 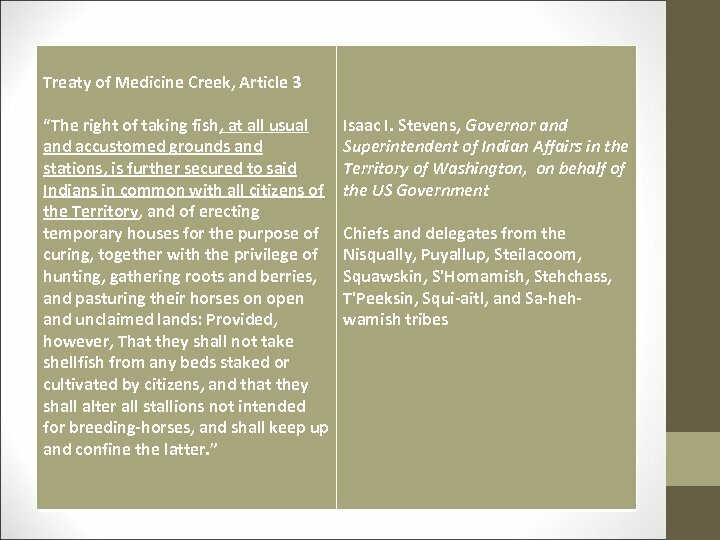 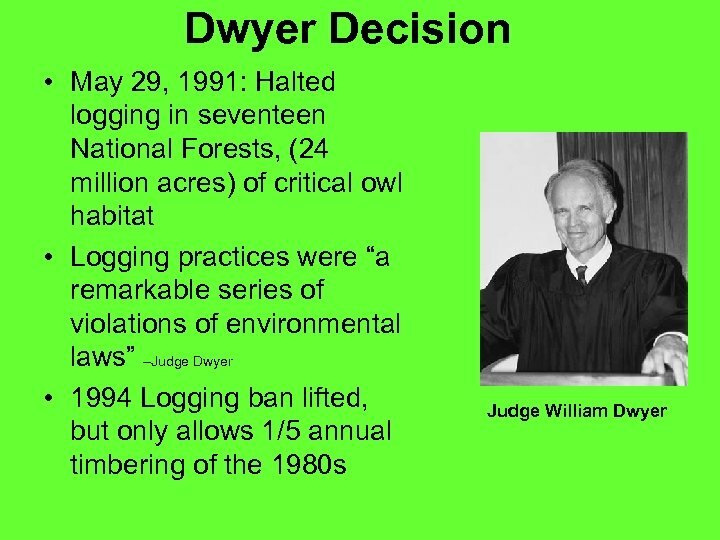 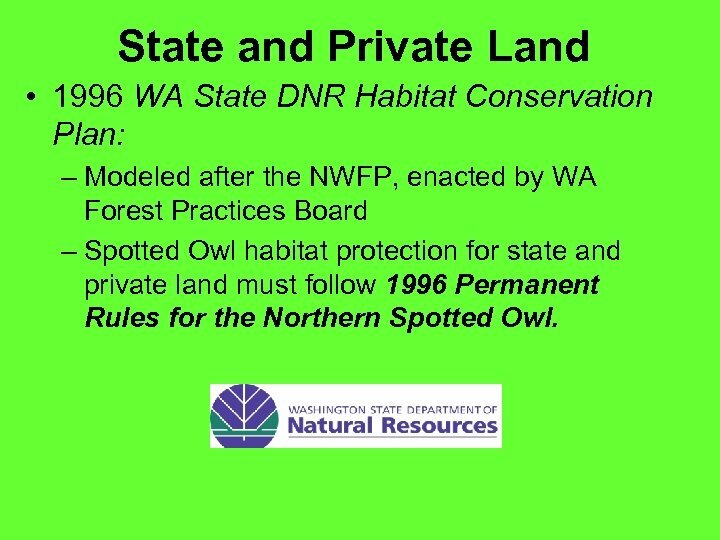 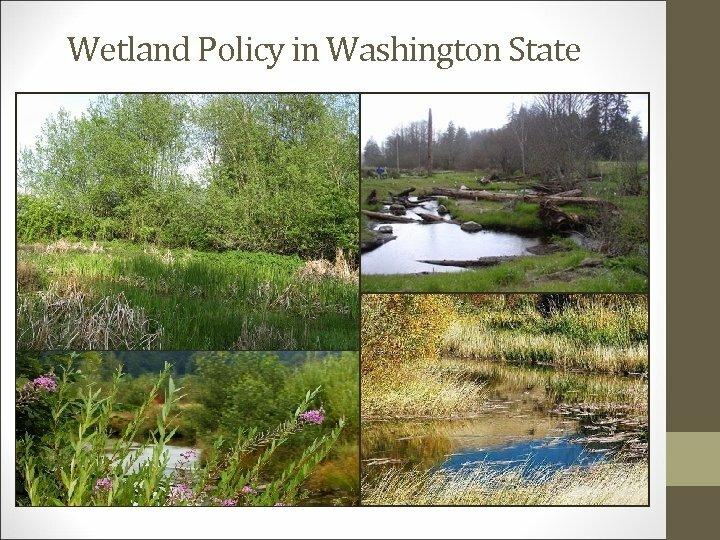 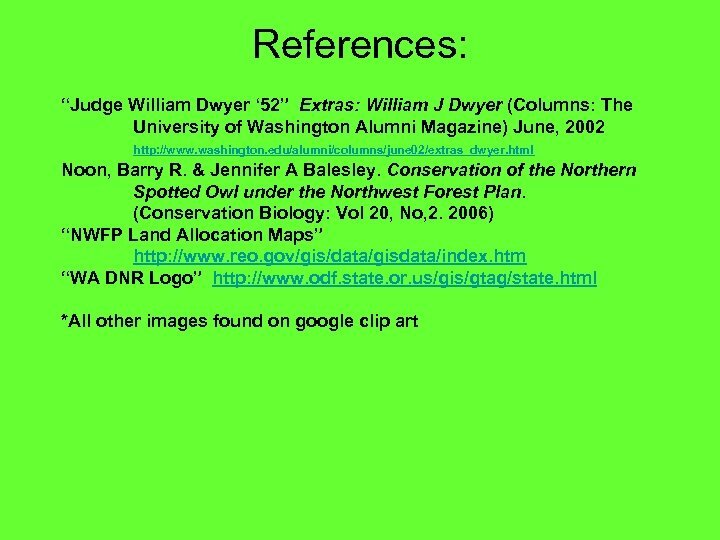 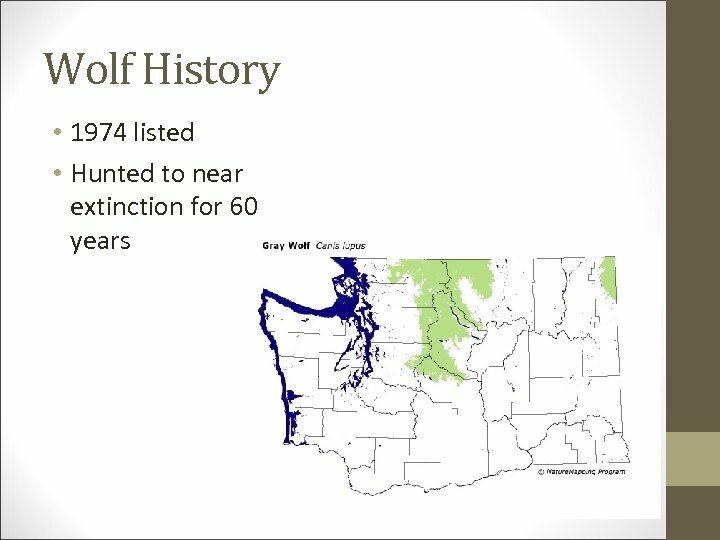 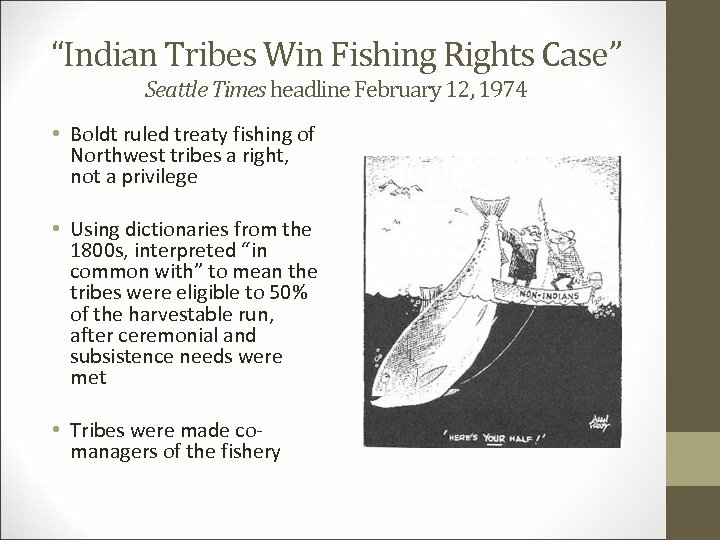 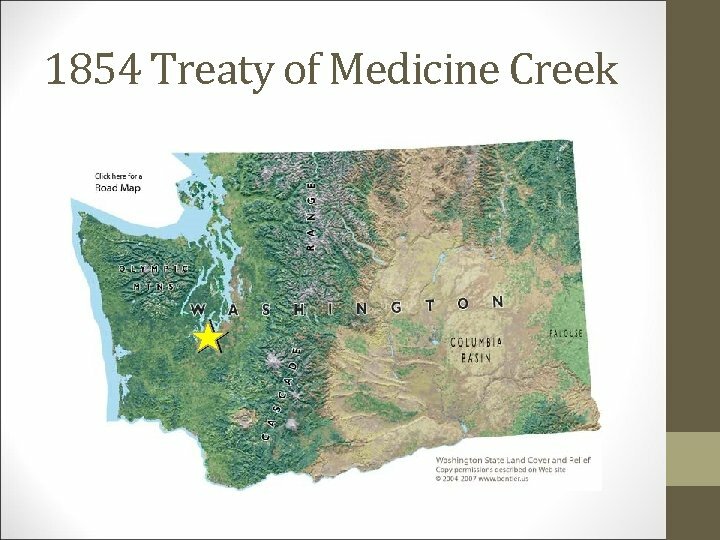 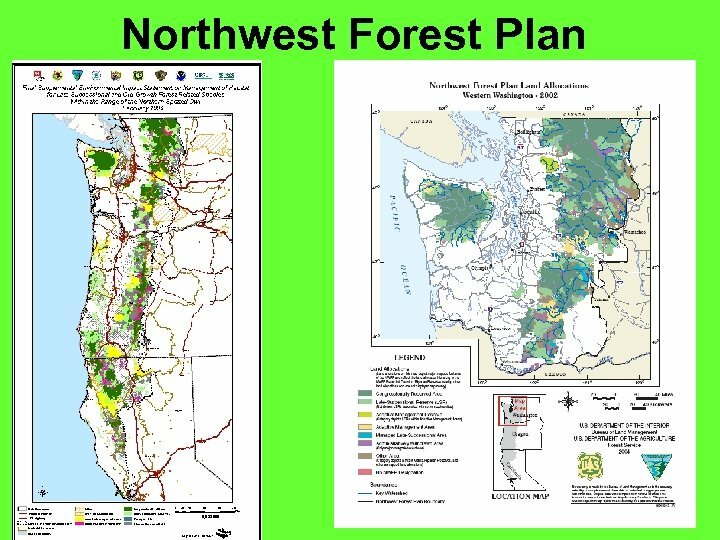 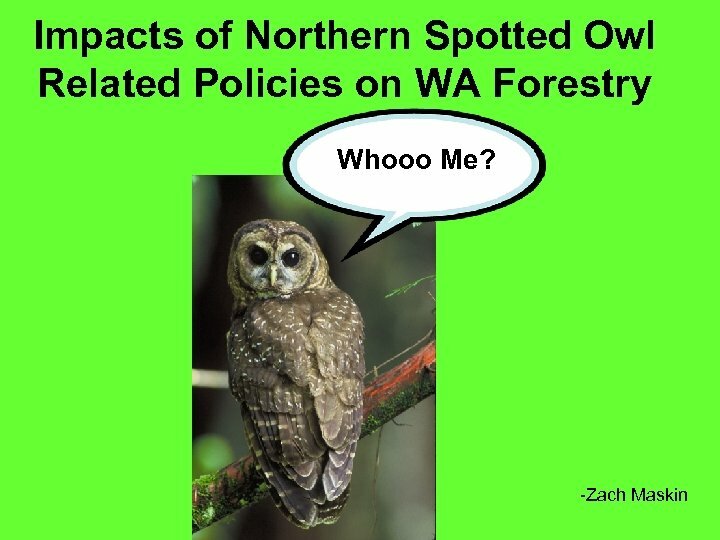 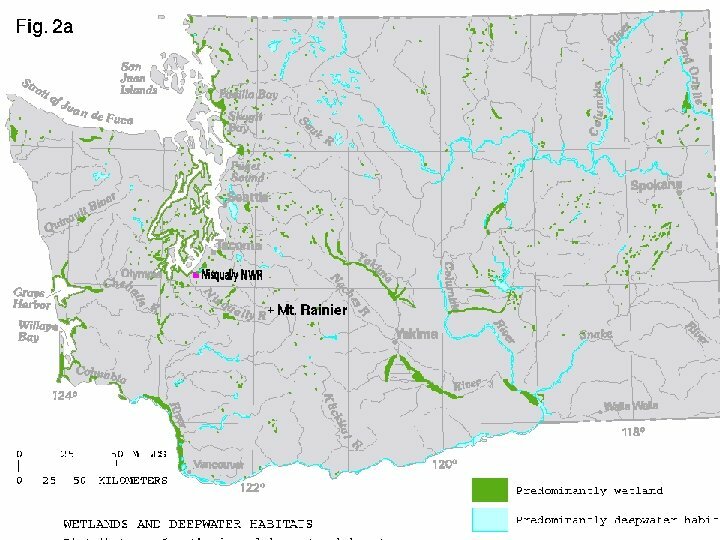 State and Private Land • 1996 WA State DNR Habitat Conservation Plan: – Modeled after the NWFP, enacted by WA Forest Practices Board – Spotted Owl habitat protection for state and private land must follow 1996 Permanent Rules for the Northern Spotted Owl. 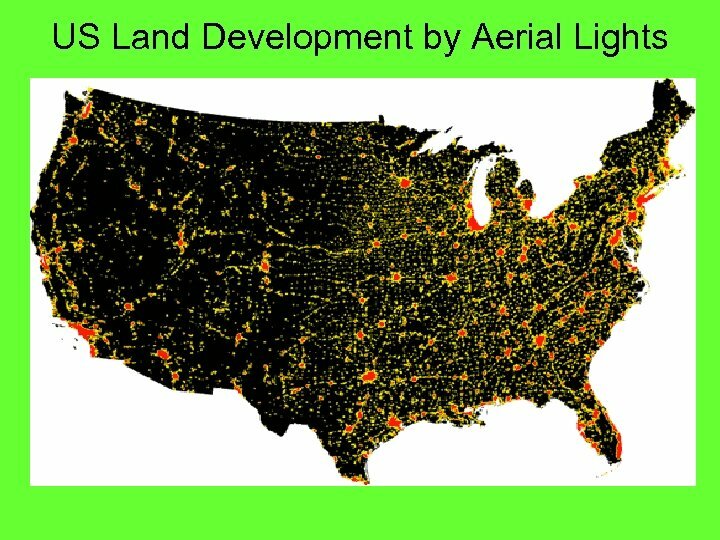 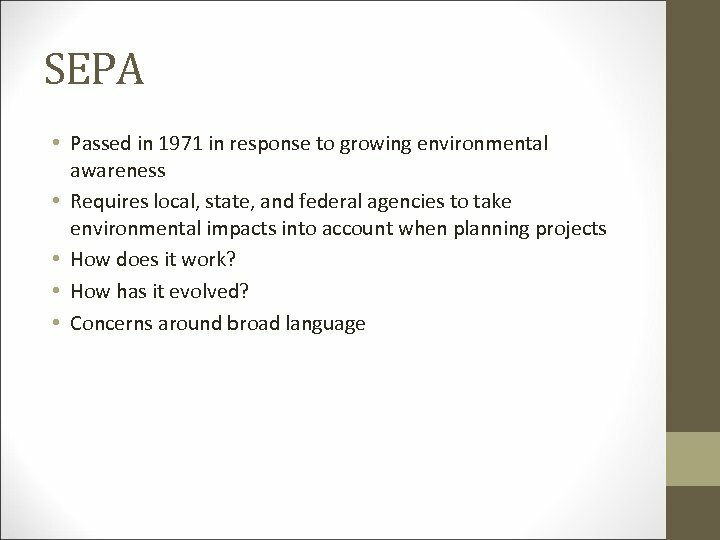 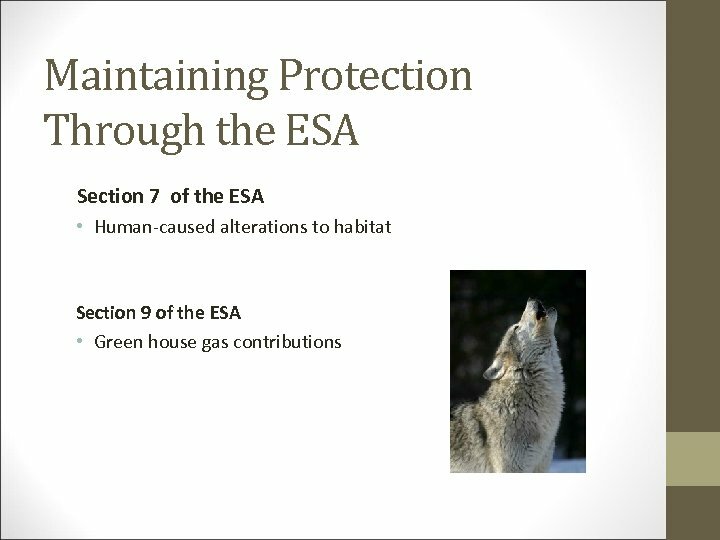 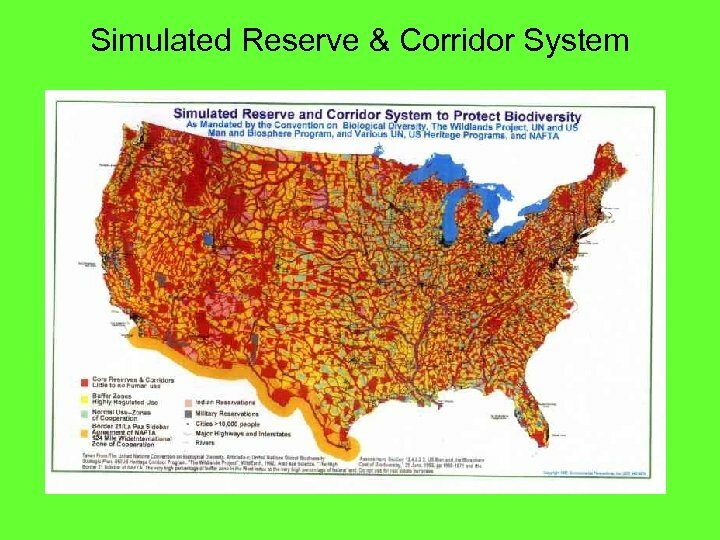 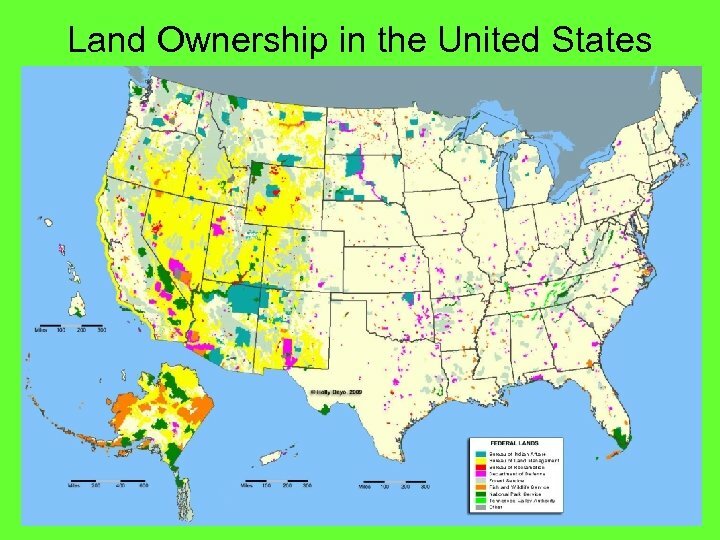 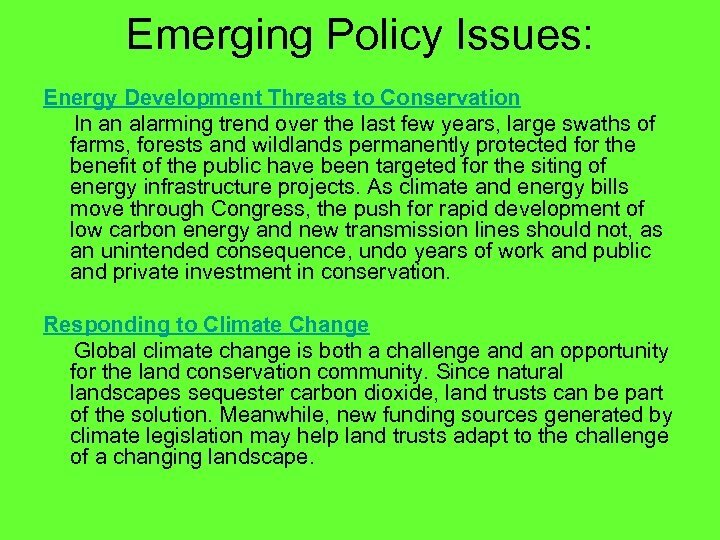 Emerging Policy Issues: Energy Development Threats to Conservation In an alarming trend over the last few years, large swaths of farms, forests and wildlands permanently protected for the benefit of the public have been targeted for the siting of energy infrastructure projects. 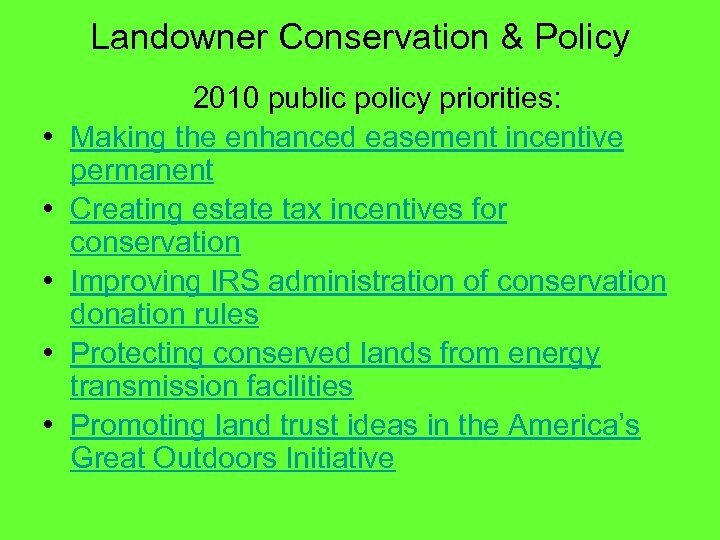 As climate and energy bills move through Congress, the push for rapid development of low carbon energy and new transmission lines should not, as an unintended consequence, undo years of work and public and private investment in conservation. 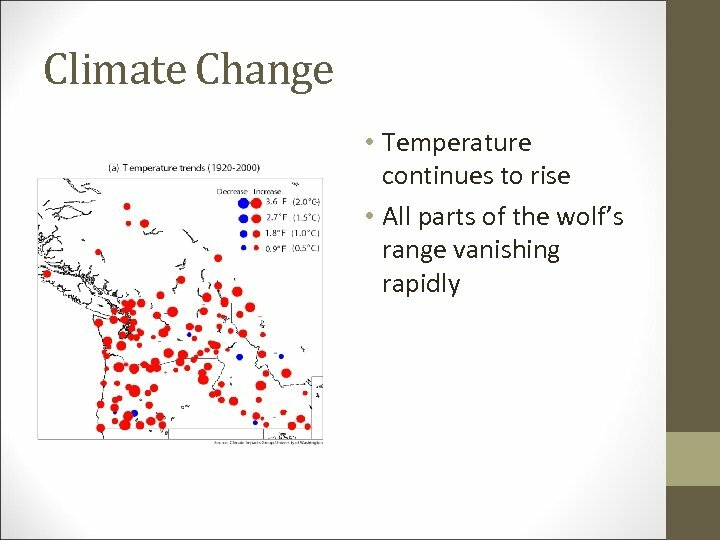 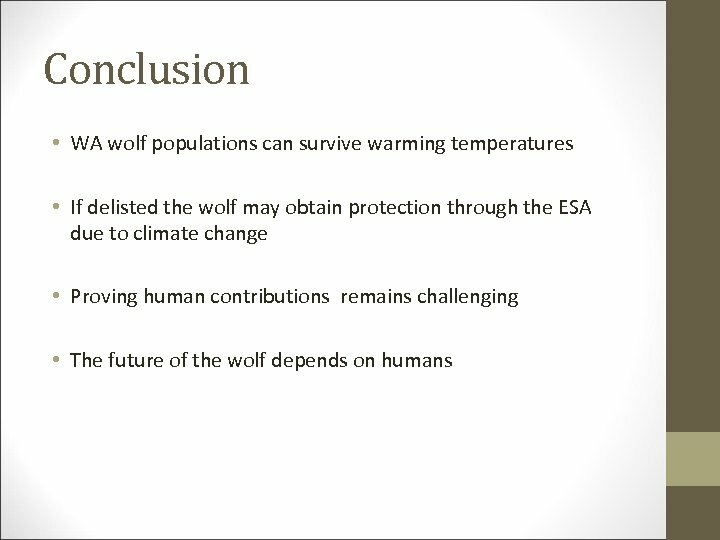 Responding to Climate Change Global climate change is both a challenge and an opportunity for the land conservation community. 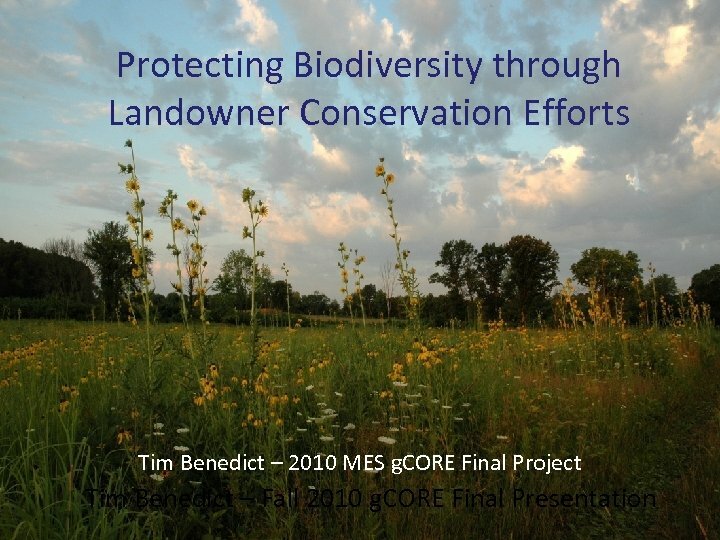 Since natural landscapes sequester carbon dioxide, land trusts can be part of the solution. 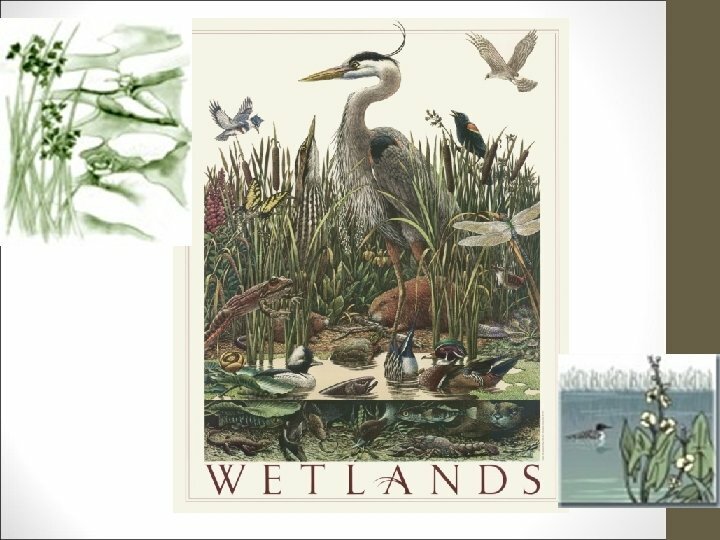 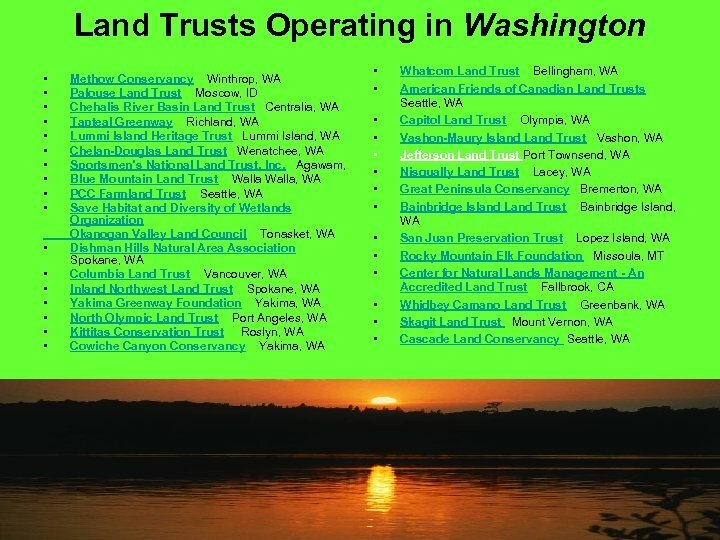 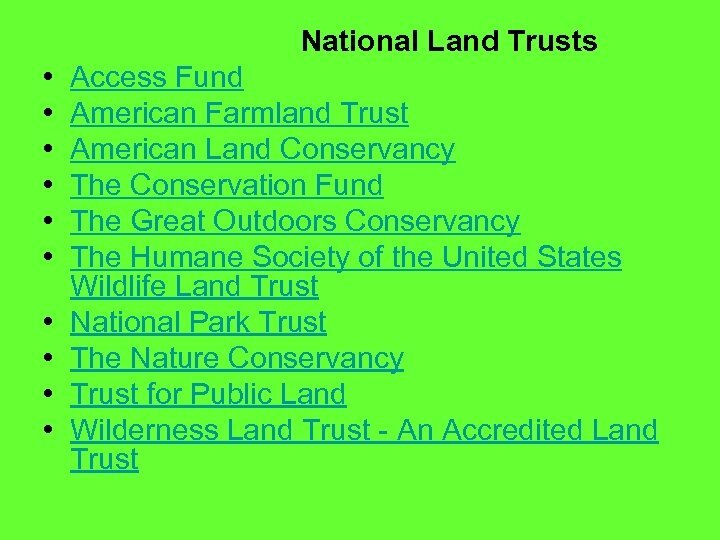 Meanwhile, new funding sources generated by climate legislation may help land trusts adapt to the challenge of a changing landscape.